Born and raised in Portland, Oregon, Jenni Vause graduated from Concordia University in 2009, after earning an undergraduate degree in Business Administration and being a student athlete. In 2013 she also earned her MBA from Concordia and simultaneously began working in the admission department as a Freshman Admission Counselor. Jenni became the Assistant Director of Undergraduate Admission in Summer 2016 and overseas the Freshman Recruitment Team. Lauren Brown is originally from Bloomington, Indiana. An adventurer at heart, she traveled out west after high school to attend college at Lewis & Clark. College was a perfect time to continue her passions in music and performing by joining choir, a cappella, and the juggling club! After graduating with a math degree and a minor in computer science, Lauren found her love for working with people in college admissions. After eight years, Lauren is now a Senior Assistant Dean of Admissions and is continuing her passions for access and equity in higher education by attending graduate school in Student Affairs Administration, also at Lewis & Clark. Lauren's work is relationship-based and centered in authenticity and inclusion, and her goal is to work toward access for all students - both in admission *to* college and persistence *through* college. In her free time, Lauren likes to play the piano, practice yoga, and spend time with her wife and two cats. Karen has been with Pacific University for over 20 years in various positions. She began as Director of Graduate and Professional Programs Admissions in 1997, moved to the Director of Student Services for the College of Optometry in 2002, then took over as Executive Director of Admissions in 2005. Currently, she is the Assistant Vice President of Enrollment Undergraduate Admissions. Karen is a proud member of several college recruitment organizations, including Pacific Northwest Association for College Admission Counseling (PNACAC), National Association for College Admission Counseling (NACAC), National Association of Advisors for the Health Professions, Inc. (NAAHP), ASCO and serves on the Black United Fund of Oregon ACCESS Scholarship Committee. Karen is originally from Pennsylvania where she worked as a Social Worker and then for Temple University as an Academic Advisor before coming to Pacific University. Cassy is wrapping up her fourth year of working in the college admissions world and she LOVES IT! She is originally from Utah and is a first generation college student. 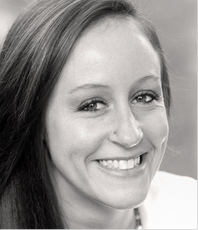 Cassy graduated from University of Portland in 2014 with a Bachelor of Arts degree in Psychology. She decided to make Portland her new home after committing to her current position as Admissions Counselor of Diversity & Inclusion at University of Portland in July 2014. Cassy primarily works with Portland Public Schools (PPS) students and is heavily involved with diversity recruitment. Cassy believes that every student should have the resources to pursue higher education; her goal is to inspire students to apply for college, she believes if she can do that then she has done her job! Jeremy Bogan earned both his Bachelor's and Master's degrees from the College of Saint Rose in Albany, New York while making his start in the world of college admissions. In January 2016, Bogan travelled across the country to work at Willamette University as the Associate Vice President of Admissions. Having been in Oregon for a little over two years, Bogan manages his busy schedule by staying caffeinated, his caffeine of choice, Coffee.